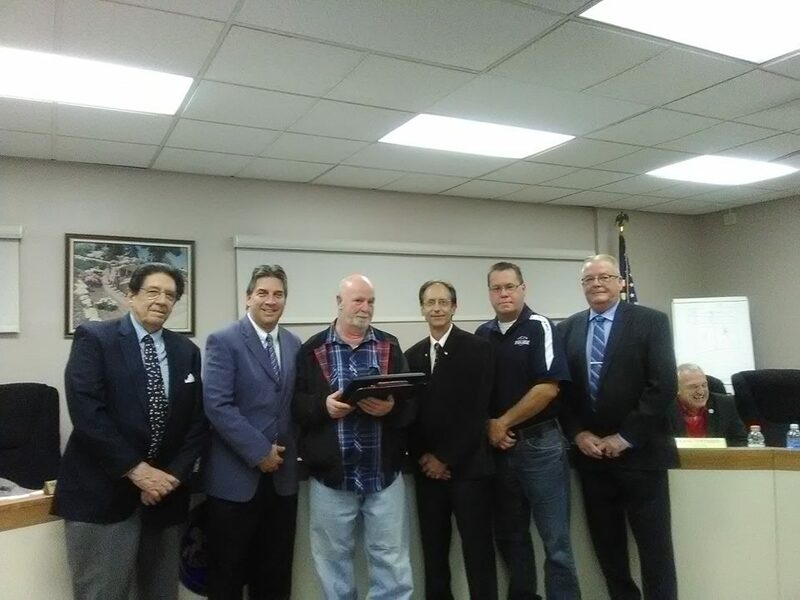 Port Vue officials give recognition to Officer Rory McLaughlin for 40 years of service. Recognition was given at the November Council meeting. In the picture left to right are retired District Justice Edward Burnett, Council President Mark Tortorice, Officer Rory McLaughlin, Mayor Brien Hranics, Lt. David Petruski and Chief of Police Bryan Myers. CONGRATS AND THANK YOU FOR YOUR SERVICE!!!!! !